The Pacific International Training Desk (PITD; Pacific Desk) provides one-on-one basic weather forecast training with emphasis on the tropics. The program focuses on operational forecasting to enable the student to prepare and disseminate locally-produced meteorological, hydrologic and climate products for their home countries. 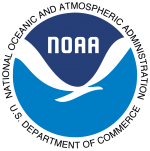 The Pacific Desk was established on the campus of the University of Hawaii at Manoa (UHM) in 2001 by the US National Oceanic Atmospheric Administration (NOAA)/National Weather Service (NWS) at the Weather Forecast Office (WFO) Honolulu. Today, the Pacific Desk operates 2 training sites, 1 at the WFO Honolulu and 1 at WFO Guam. Click to learn more. Click to access our E-Learning Platform! The latest in what is happening with the Pacific International Training Desk. Click for more information about the Instructors.